IRVING, Texas – The College Football Playoff (CFP) today announced the pregame entertainment for the 2018 College Football Playoff National Championship. The national championship game will be Monday, January 8, at Mercedes-Benz Stadium in Atlanta. Zac Brown Band will perform the national anthem, accompanied by David Walker & High Praise, Atlanta’s premier gospel choir. Three-time GRAMMY-winning multi-platinum artists, Zac Brown Band has had five consecutive albums reach the top 10 of the Billboard 200 and four consecutive albums debut at No. 1 on Billboard’s Country Albums chart. To date, the group has sold more than 25 million singles and eight million albums. They have achieved 15 No. 1 radio singles and are the second act to top both the country and active rock formats. They have developed a reputation with critics and fans alike for a live show marked by strong musicianship that defies genre boundaries. Formed in 1993, David Walker & High Praise is a collage of singers from different denominations whose new album, God’s Got It, was recently released to critical acclaim. Carly Ortega, a 12-year-old Georgia native, will sign the national anthem. Carly attends the Atlanta Area School for the Deaf (AASD) and will be signing in honor of her mother, a passionate college football fan, who recently passed away after a long battle with cancer. Before the anthem, the nation’s colors will be presented by U.S. Marines from Bravo Company, 4th Reconnaissance Battalion, based in Smyrna, Georgia. Continuing a CFP tradition, drummers from the participating team bands will play side-by-side as the color guard is introduced. For the fourth consecutive year, local college and high school students will perform the “Path to the Championship” procession of 130 banners, representing the ten conferences and all Football Bowl Subdivision institutions. Members of the Georgia Tech marching band will lead the presentation, along with students from Atlanta-area high school marching bands. As part of the CFP Foundation’s Extra Yard for Teachers (EYFT) initiative, the 2017 Teacher of the Year from each U.S. state and territory will be honored on the field during the pregame celebration. This is an opportunity for fans to applaud these educators for their hard work and dedication and furthers the EYFT mission of elevating the teaching profession. Pregame festivities at Mercedes-Benz Stadium will begin at 7:30 p.m. Eastern time. Pregame, halftime and postgame pageantry will be produced by Michael T. Fiur Productions, one of the leading producers of live event and sports spectaculars in the world. Join the conversation on Twitter using the official hashtag #CFBPlayoff. For more information on the College Football Playoff and the national championship game, visit www.collegefootballplayoff.com. ATLANTA, Georgia – The College Football Playoff (CFP) today announced the national recording artists scheduled to perform at AT&T Playoff Playlist Live!, the CFP’s signature concert series taking place January 6-8, 2018, in Atlanta, Georgia. Performances by Jason Derulo and Charlie Puth will kick off the event on Saturday (January 6) night, along with special guest Lizzo. The Chainsmokers will headline Sunday (January 7), with additional performances by Bebe Rexha and Spencer Ludwig. On game day, Monday (January 8), Darius Rucker will headline the pregame event from the Capital One Quicksilver® Music Stage, along with opening act Brett Young. Jason Derulo is a multi-Platinum powerhouse whose current hit “Swalla” has over 800 million YouTube views. With more than 102 million single equivalent sales worldwide, his introductory breakout “Whatcha Say” and “Talk Dirty” (feat. 2 Chainz) reached quadruple-Platinum status, while “Want To Want Me” and “Ridin’ Solo” went triple-Platinum and “Trumpets,” “Wiggle” (feat. Snoop Dogg), and “In My Head” earned double-Platinum certifications. Platinum singles include “Marry Me,” “The Other Side,” and “It Girl.” Cumulative streams exceed 6.3 billion and his music has impacted a total audience of more than 20 billion listeners at radio. Multi-GRAMMY nominated and multi-Platinum singer/songwriter/producer Charlie Puth is climbing charts with his latest single “How Long” from his highly-anticipated sophomore album VoiceNotes, which arrives January 19, 2018. “How Long” follows the first single from VoiceNotes, “Attention,” which hit No. 1 at U.S. Pop Radio and peaked at No. 5 on the Billboard Hot 100. VoiceNotes is the follow-up to Puth’s 2016 RIAA Platinum-certified debut album, Nine Track Mind, which featured multi-Platinum singles “We Don’t Talk Anymore” (feat. Selena Gomez), “One Call Away” and “Marvin Gaye” (feat. Meghan Trainor). Lizzo made her major-label debut for Atlantic Records in 2016 with the EP Coconut Oil. Lauded by Rolling Stone as one of the “20 Best Pop Albums of 2016,” the EP boasted the hit “Good as Hell,” which churned out 7.3 million Spotify streams, along with the current single “Truth Hurts.” She’s currently headlining her first national tour. GRAMMY Award-winning and Billboard chart-topping artist/producer duo The Chainsmokers, comprised of Alex Pall and Drew Taggart, have created a signature sound spanning indie, progressive and pop realms. In 2016, the group catapulted to stardom with three certified multi-Platinum hits, “Roses,” “Don’t Let Me Down,” and “Closer.” In 2017, they released their now Platinum-certified debut album, Memories…Do Not Open, which debuted at No. 1 on the U.S. Billboard 200 chart. Most recently wrapping their “Memories…Do Not Open” arena tour, they have performed all over the world and at major festivals. Bebe Rexha topped the Billboard charts in 2015 with the Platinum-selling “Me, Myself & I” (feat. G-Eazy). In early 2017, she released her debut EP All Your Fault: Part 1, followed by All Your Fault: Part 2, with current smash “Meant to Be” (feat. Florida Georgia Line). To date, she has accumulated over ten million overall single sales and one billion Spotify streams. Trumpeter, singer and songwriter Spencer Ludwig launched his solo career with the infectious hit “Diggy,” which soundtracked Target’s 2016 Fall Style campaign. Prior to his Warner Bros. Records solo debut, he was the featured trumpeter for multi-Platinum act Capital Cities. Spencer merges jazz and pop for a sound that simmers with soul. Three-time GRAMMY Award winner Darius Rucker began his solo country career in 2008 after first gaining fame with the rock band Hootie & the Blowfish. Since re-introducing himself as a country artist, Rucker has released four consecutive chart-topping albums, winning both CMA and GRAMMY awards. In 2014, Rucker’s rendition of “Wagon Wheel” reached No. 1on the Country radio charts and was certified triple-Platinum. Witheight career No. 1 country singles, Rucker’s fifth country studio album, When Was the Last Time, was released in October 2017. Brett Young’s Gold-certified self-titled debut features two back-to-back No. 1 smashes, including the Platinum-certified “Sleep Without You” and two-time Platinum “In Case You Didn’t Know.” The California native was recently named one of Rolling Stone’s “Artists You Need to Know” and has been recognized with nominations from the ACM Awards, People’s Choice Awards, CMT Music Awards and CMA Awards. AT&T Playoff Playlist Live! will take place at Centennial Olympic Park, in the heart of downtown Atlanta’s Championship Campus. The free, three-day concert series will include fan-friendly entertainment, daily ESPN broadcasts and sponsor giveaways, as well as firework shows. Gates will open at 4 p.m. ET on Saturday (January 6) and Sunday (January 7). On game day, Monday (January 8), gates will open at Noon ET. For those unable to attend, a livestream of the Saturday and Sunday night performances will be available at www.att.net/attplayoffplaylist. www.collegefootballplayoff.com. 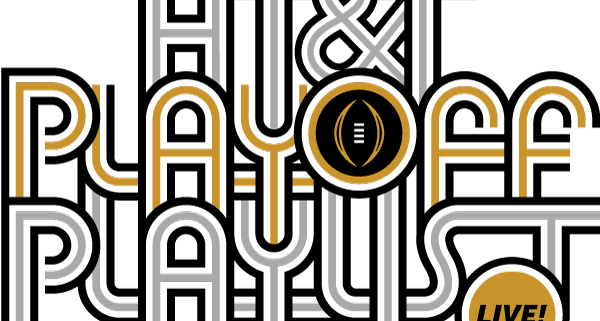 Join the social conversation by using the hashtags #ATTPlayoffPlaylist and #CFBPlayoff. Chick-fil-A Peach Bowl, Goodyear Cotton Bowl, Capital One Orange Bowl, Allstate Sugar Bowl, Rose Bowl Game presented by Northwestern Mutual and PlayStation Fiesta Bowl. This season’s semifinals will take place Monday, January 1, 2018, at the Rose Bowl Game presented by Northwestern Mutual and the Allstate Sugar Bowl. The national championship game will be Monday, January 8, 2018, at Mercedes-Benz Stadium in Atlanta. http://www.atlchampgame.com/wp-content/uploads/2017/06/attpll.png 420 600 T.J. Harley http://atlchampgame.com/wp-content/uploads/2016/10/logo-atlchampgame-stacked-notype2.png T.J. Harley2017-11-16 16:13:202017-11-16 16:13:20College Football Playoff Announces Talent Lineup for AT&T Playoff Playlist Live! ATLANTA (October 25, 2017) – On Sunday, Jan. 7, 2018, the College Football Playoff (CFP) Foundation will host an exclusive foodie event from the country’s best chefs, including local favorites, for a great cause. The “Taste of the Championship” event will feature gourmet food and beverages from notable restaurants and breweries with all proceeds going toward the CFP Foundation’s Extra Yard for Teachers platform. The “Taste of the Championship” event will be held at the Georgia Aquarium on Sunday, Jan. 7, 2018, from 7:00-10:00 p.m. VIP tickets can be purchased for $350 and include access to special VIP areas, private entrance and early access. General admission can be purchased for $250. Tickets may be purchased at this link. All proceeds from the event will benefit Extra Yard for Teachers, which elevates the teaching profession by inspiring and empowering teachers through the implementation of programs in four focus areas: resources, recognition, recruitment and professional development. This is one of many events the CFP Foundation will host in the days leading up to the national championship game on Jan. 8, 2018, at Mercedes-Benz Stadium. For a list of events and more information on how to get involved visit: www.ATLchampgame.com. Formed in 2016 under the Championship Hosting Division of the Atlanta Sports Council, the Atlanta Football Host Committee (AFHC) serves as an extension of the College Football Playoff Group in the local community. The organization is responsible for assisting with the planning and production of the 2018 College Football Playoff National Championship and accompanying fan events. The AFHC is comprised of local leaders in business, sports and tourism and their mission is to host a one-of-a-kind championship experience for student-athletes, university representatives, media and college football fans. For more information visit: www.ATLChampGame.com. The College Football Playoff (CFP) Foundation is the charitable arm of the College Football Playoff, supporting education across the country. The CFP Foundation’s primary platform, Extra Yard for Teachers, elevates the teaching profession by inspiring and empowering teachers through the implementation of programs in four focus areas: resources, recognition, recruitment and professional development. The CFP Foundation utilizes multiple partnerships to execute its initiatives and support positive educational outcomes. For more information, visit www.cfp-foundation.org.